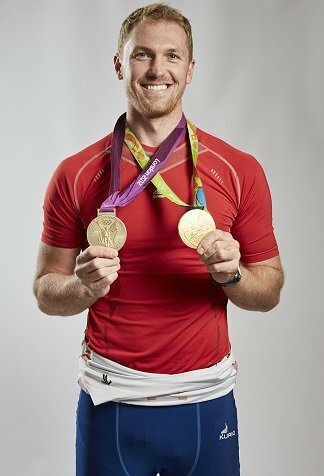 We are delighted to announce that Alex Gregory MBE will feature as the keynote speaker at the 2018 School Games Summit. Having recently retired from sport, Alex is now sharing his knowledge and experience with audiences around the world. A hugely successful rower, Alex is a two time Olympic Gold medallist (London 2012, Rio 2016) and five time World Champion, although success did not come easily for him. It was only after an eight-year string of failure and disappointment that Alex discovered his true motivation and the changes he needed to employ in order to perform. In the second eight years of his career, Alex learnt how to perform consistently under immense pressure and how to use those around him to bring out the best in himself and the teams he was a part of. After a successful Olympic career, Alex became an Arctic explorer earning seven Guinness world records, and recently became a published author with the book 'Dadventures' - a guide for parents on how to make memories outdoors with their children. Alex believes that being a dad has given him a perspective as to what is important in life and provides him with a balance that allows him to perform on the water and to fulfil his role as the dad he wants to be. You can find out more about Alex by visiting his website. We look forward to welcoming all SGOs to the School Games Summit which takes place at the Ricoh Arena in November.